It's no secret that our hair changes drastically from the time of our transition to the time that we're fully natural. Heck, my hair in January 2015 is different from the hair I had in January 2014, for a number of reasons. But the general idea is that transitioning hair behaves remarkably differently from completely natural hair, primarily because of the two textures. In addition to dealing with healthy and damaged hair, our approach to haircare as we meander through our natural hair journey has an impact on our hair as well. Because I know infinitely more about my hair now than I did a year ago, I have a general sense of what will and won't work for my hair. This also means that from time to time, I'll re-visit certain products, because my knowledge of proper usage, application technique, and hair care overall has greatly improved. That brings me to a second look at Miss Jessie's Jelly Soft Curls. I picked up sample packs of Jelly Soft Curls back when Miss Jessie's was doing the free sample packet promotion, and I used them in a head-to-head comparison review against Frizz Free Curls Goddess Curls. You can read the full review here, but the general takeaway was that both are solid products, make good on their claims, but one (and I'm pretty sure you can guess which one) is substantially less expensive and provides a bit better hold. Yes, this is hair with Jelly Soft Curls in it -- after 2 days of rain! Ummm....yeah. Needless to say, a few things changed -- and this product was most certainly on my re-review list. I recall liking Jelly Soft Curls, but not being able to quite put a finger on why I stopped using it. Perhaps it was the price point, or perhaps it was the product junkie in me that's on a never-eding quest for curl definers. Either way it goes, let's revisit...shall we? 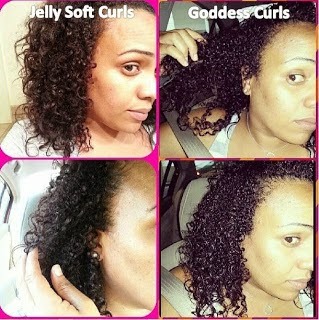 Availability: Jelly Soft Curls can be found online at www.missjessies.com, in several smaller chain beauty supply stores, in Target, and new in 2015, at Sally Beauty Supply. Affordability: Miss Jessie's products are, umm, to put it plainly, expensive. Strange enough, Jelly Soft Curls is one of their cheaper products (at $15 for 8.5 oz). Most products in that same arena give you a little more bang for your buck. By comparison, Obia and TGIN both give 12oz of their Curl Enhancing Custard and Twist and Define Cream for that same price. Ingredient List & Top Ingredients 411: Interestingly enough, the top ingredients have changed for Pillow Soft Curls. By only one ingredient though. The top 4 after water are still polysorbate 20, carbomer, glycerin, and PVP. They removed triethanolamine as the 5th and bumped up sodium hydroxymethylglycinate in its place. To see what the other ingredients mean, click here. But sodium hydroxymethylglycinate is a synthetic preservative derived from the naturally occurring amino acid, glycine. It is frequently used as an alternative to parabens, but has a terribly rancid smell that requires product manufacturers to use more potent and aggressive fragrances. 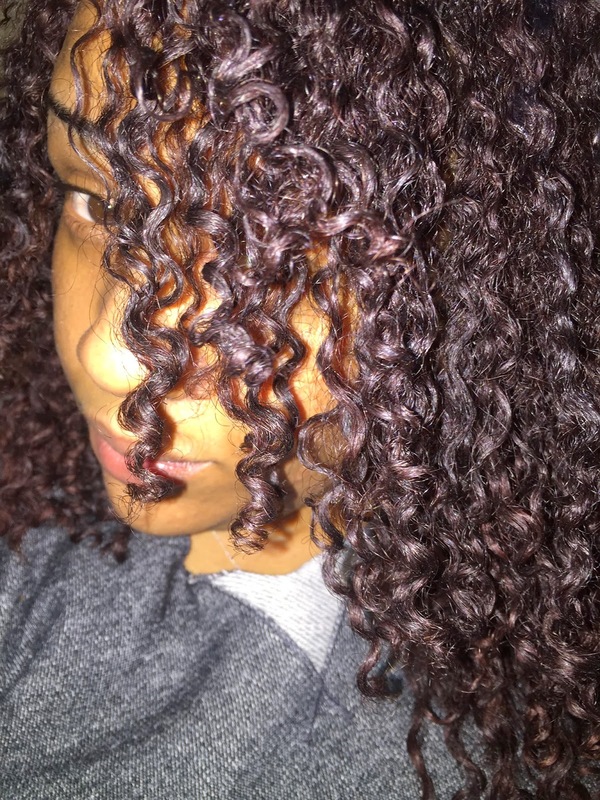 Product Claim/Description: It hasn't changed -- the Jelly Soft Curls claim to fame is that it's "The Best Darn Super Soft Gel Period", and is designed for people who want poppin' wash & go curls without the crunch. Click here for the full description. Performance/Delivery: Here's where things are sooooooo soooooo much different from July 2013 (when I did the initial review). I have somewhat become the master of the wash and go (on my own head), and I have a generally good sense of how to achieve maximum impact with any given curl definer. Looking back on that review, I can honestly say I didn't know then what I know now, and that my hair looked a whooooooooooole heckuva lot different. Some things about Jelly Soft Curls are exactly as I remember -- the fragrance, that strong Downy fabric softener scent, the lack of artificial coloring (yay), and the thickness. Jelly Soft Curls is what I like to call one of those "heavyweight light" gels -- that are thick and go on the hair heavily (almost weighing it down), but dry airy, light, and soft. Obia's Curl Enhancing Custard and Bee Mine Bee Hold Curly Butter are two others that operate similarly. 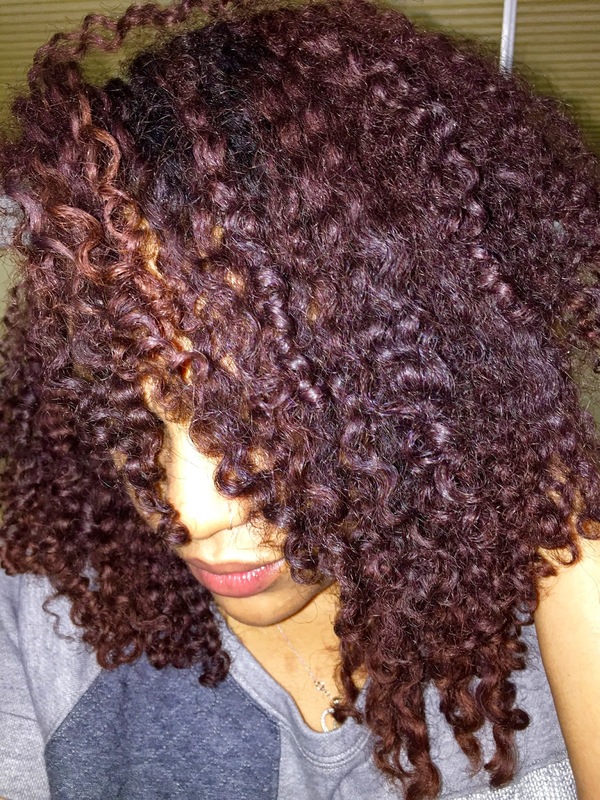 I layered As I Am Leave-In Conditioner, coconut oil, and Jelly Soft Curls onto my hair. I found it interestingly enough in my mixing test that Miss Jessie's Leave-In Condish didn't mix with Jelly Soft Curls. I'll have to revisit that in a patch test, but I was not about to ruin my weekend with white flakes and clumps, so I skipped the risk. What I loved the most was that even though the definition was amazing, my hair was SOFT! And fluffy, and bouncy....and...yeah. Just amazeballs. Drawbacks: I'm not a huge fan of the ingredient list, but I'm also not here to knock a product that works, either. I absolutely wish it was more naturally-derived, but Miss Jessie and her crew make no claim to give me a tube of juices and berries. And just in case I didn't make it clear enough earlier -- the fragrance is strong. No, skrong. Like, giving Downy and Gain a run for their money skrong. It didn't trigger my allergies, and it's not a bad smell, it's just very aggressive. #CurlPoppage...But on another note, I need to learn what to do with my hands when taking real pictures lmao. Another bonus is that I didn't experience any sort of flaking or buildup whatsoever. I even applied a little more to the front section of my roots on day 2, and it didn't adversely react or build up. Bottom Line: I'm glad I gave Jelly Soft Curls another shot. I'll definitely keep this in mind as I create my curl arsenal for 2015. I'm also hype that I didn't have to wait until day 3 to get big hair. Heavyweight light gels for the win! 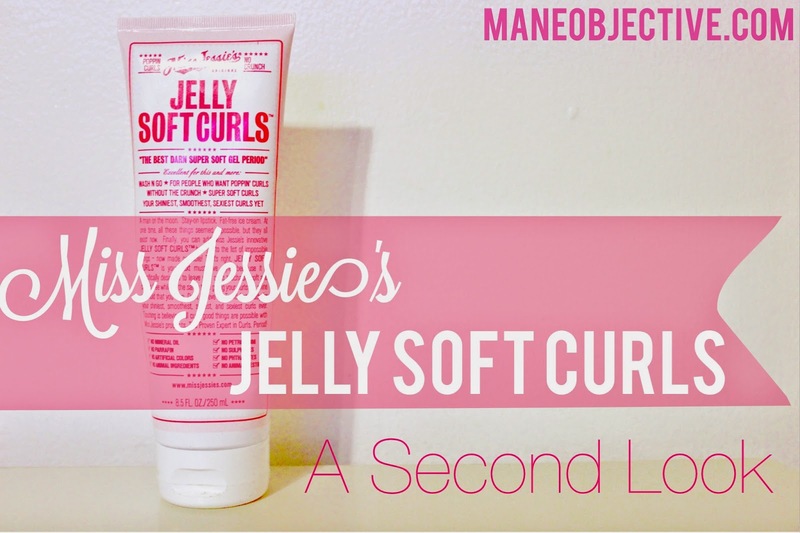 If you're not terribly concerned about ingredients, and want that ever-elusive hybrid of soft, fluffy, defined curls with just the right amount of frizz, I say give Jelly Soft Curls a try. I can honestly say Jelly Soft Curls will be giving Pillow Soft Curls a run for its (my?) money in 2015! Overall Product Rating: 4 stars. The ingredients aren't the best, the fragrance is strong, but the product delivers magificent results. 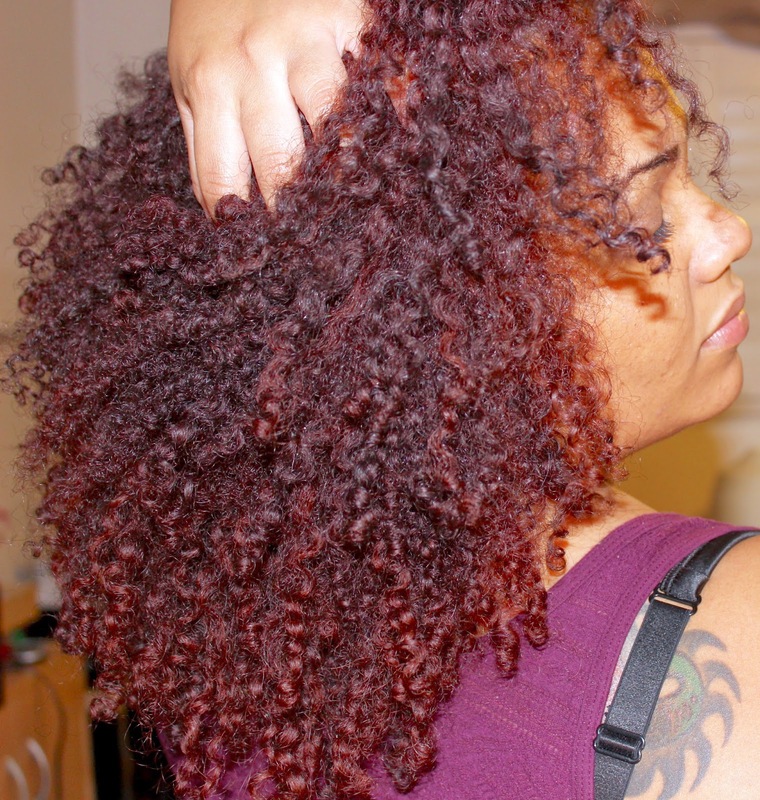 Best Practices: Follow my 7 secrets for the perfect wash and go to learn how to get the maximum use out of Jelly Soft Curls. Pay special attention to applying the product to wet hair, using a leave-in and oil underneath the styler, and smoothing it through small sections of hair. Don't just slap it on and expect a miracle! FYI: The color differences you see in my hair are a result of the cameras used. The brighter red is what is captured on my Canon camera, and the darker coloring comes courtesy of iPhone with my flash on. But even with those variations, they're still infinitely better photos than the ones I was taking in July 2013. Praise the Lord for progress and growth! 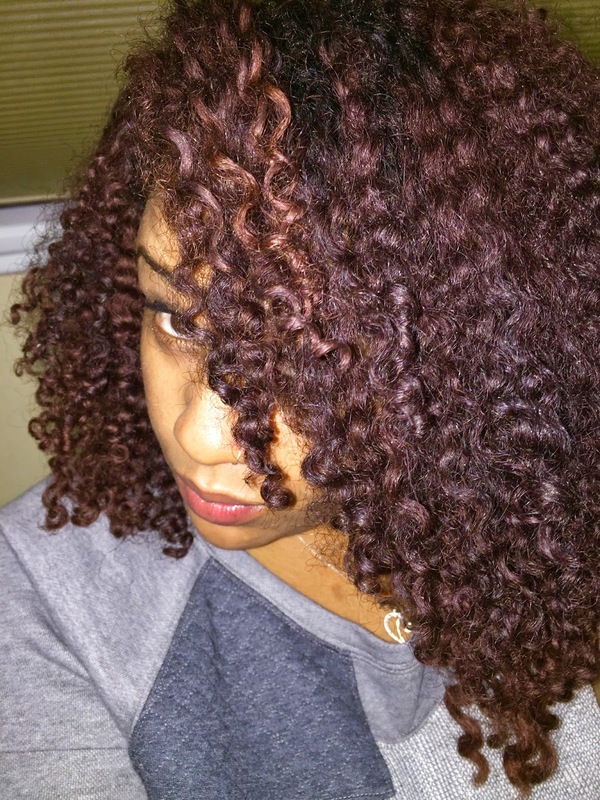 Have you ever tried Miss Jessie's Jelly Soft Curls? Would you try it out? Why or why not? 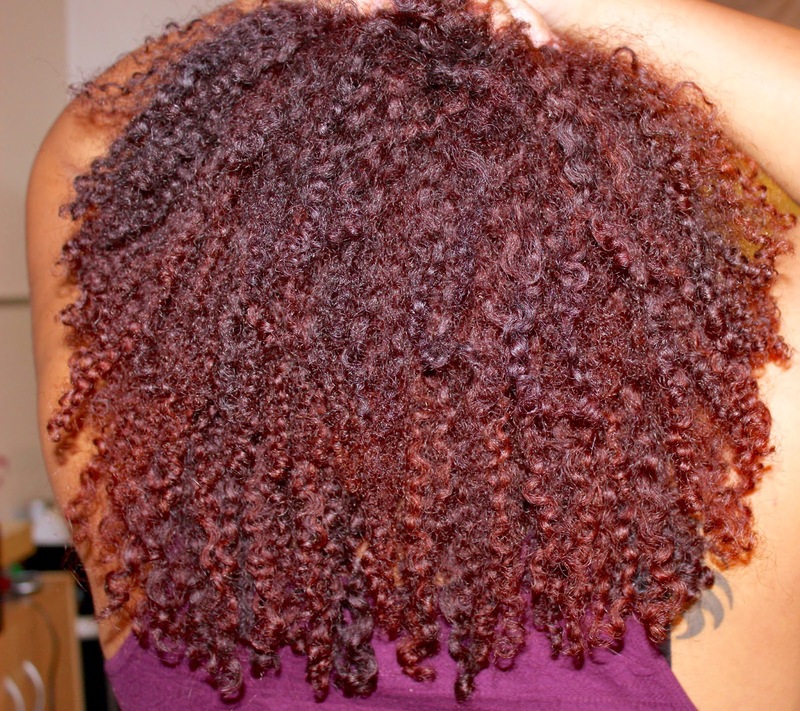 #thatcolorthough #themCURLSthough...your hair is gorg! You got some awesome results with this product. Too rich for my blood but I am intrigued! Thanks doll!!!! I looked at the pictures like naw, nawwwww that ain't my hair! Lol. It's definitely pricey but I'm not gonna sit up here and pretend like I haven't paid more for less product before (cough cough... Curls Rock Amplifier) lol. I might mess around and mix it with EcoStyler to see if I can get more mileage out of it lmao! LOL! I hear that. With these results, I may have to take one for the team & try it. Everything I've used by Miss Jessie, except Quick Curls, has been amazing! So I'm not too nervous. Thanks for such an awesome in depth review! So helpful. I bought the MJ JSC and loved it so much I went back and purchased another tube! Then, something changed - I don't know what - but I started getting some dust bowl hair days with it. It's been relegated to my high humidity climate vacation hair styler list, too dry for my regular rotation. I also tried the new MJ Coily Custard, wow, I applied it too heavily (I need hold) and although it did not leave my hair dusty dry, it dried flaky and SPARKLY! The whole sparkly effect was so traumatic it went straight to the loser product bin. Late comment, but wanted to say thanks for the review! I am caucasian with just 2b/c hair, but it's very thick and coarse so I prefer to 'step across the aisle' (lol) for styling and conditioning. I have to be careful with the oils, but freaking love stylers for strong curls to prevent all my frizzies. Just bought Pillow Curls (love love!) and am now eager to try Jelly Soft Curls. Can't deal with the standard crunchy gels, so very glad to hear your thoughts on this one. Hugs! Great tips thanks to sharing them. Lots of interesting information everyone can find here for you.